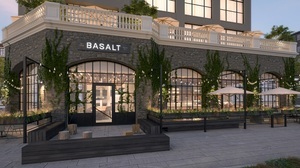 Exterior rendering of Basalt. Courtesy of Basalt. Bar and communal table rendering at Basalt. Courtesy of Basalt. High-top tables rendering at Basalt. Courtesy of Basalt. A peek at the upcoming Ramen Gaijin in Sebastopol. Photo via Facebook. There are a lot of things happening in Wine Country, so let’s do a quick review. 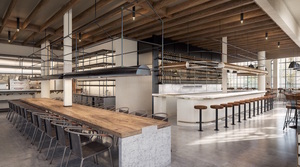 First, the name has been revealed for the restaurant Christopher Kostow and the Meadowood team (including restaurant director Nathaniel Dorn and chef de cuisine Katianna Hong) are opening in the former Tra Vigne location: ~THE CHARTER OAK~. A recent WSJ piece (you should read it) mentions the project is targeting June, and the cooking style will be more “elemental” (read: no sous vide). It will also be family style—and guests will pour wine for themselves. Some potential dishes mentioned are “platters of toasts topped with a conserva of summer squash and grilled sardines” and “a rotisserie pork shoulder lightly dressed with a miso of acorns.” Yes, so delicious. I’ll keep you posted as this project develops! You can check out their website for social media handles to follow in the meantime. 1050 Charter Oak Ave., St. Helena. One more tidbit to note since we’re talking Meadowood: former sous chef John Hong is now chef de cuisine since his wife, Katianna Hong, is moving on to The Charter Oak. In an interesting switcheroo, when Tra Vigne closed, the majority of its staff was able to move on to ~BRASSWOOD BAR AND KITCHEN~, the replacement for The Farmer & The Fox at Cairdean Estate in St. Helena. Have a peek at the Cal-Italian and American menu from chef David Nuño here. Open Wed-Sun 12pm-9pm. Downtown Napa is going to have a new restaurant opening at the end of March in the former Fish Story along the Napa River, ~BASALT~. Look for a lively bar (with cocktails devised by SF’s Jason “Buffalo” LoGrasso) and a menu of “early California” cuisine, with Spanish and Mexican influences, from chef Esteban Escobar (Town Hall, Corners Tavern). GM Jonathan Wendorf (previously Torc, Quince, and Cotogna) will be managing the floor. Some sample dishes include grilled flatbread with pumpkin seed spread; fried oysters with deviled aioli, chopped egg and shaved asparagus; and achiote-cocoa marinated local black bass, black bean ragout, and blood orange. Look for a strong focus on seasonality—the restaurant even has its own garden plot. 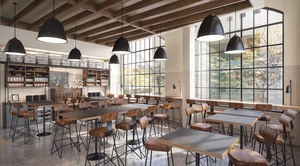 The space will be clean and modern, with a neutral color palette (designed by Rapt Studio); there’s a communal table, outdoor patio with a fire pit, private dining room, and central bar (moved from its last location). They intend to have a lively bar scene, and LoGrasso will be doing some craft cocktails that aren’t overly complicated. Look for many local products as well, including cocktail-friendly ingredients made by local winemakers (like vermouth, amaro, and liquor). Dinner will be served nightly, followed by lunch and weekend brunch later on. 790 Main St., Napa. The upcoming Las Alcobas property (based in Mexico City) opening in November in St. Helena will have Chris Cosentino and Oliver Wharton (his partner in Cockscomb) running the food and beverage program (via Scoop). 1915 Main St., St. Helena. Up in Healdsburg, the new chef duo at ~SPOONBAR~, husband and wife Casey and Patrick Van Voorhis (previously Cotogna, Acquerello, Quince, Jane, and more), have their new menu in place, as well as at sister restaurant, ~PIZZANDO~, where you’ll find a new pizza dough recipe and pies like the charred broccoli pizza with ricotta, green garlic, and a farm egg (meat lovers can add prosciutto or pepperoni to any pizza). And fans of ~RAMEN GAIJIN~ in Sebastopol will be happy to know the restaurant is scheduled to reopen March 15th. 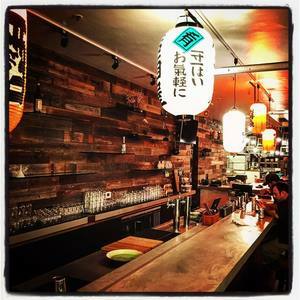 Their Facebook post has plenty of details on the ramen shop, izakaya, and more. 6948 Sebastopol Ave., Sebastopol.